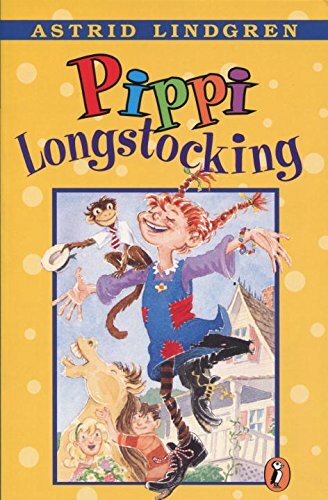 Are you sick and tired of the same ol' alphabet book? 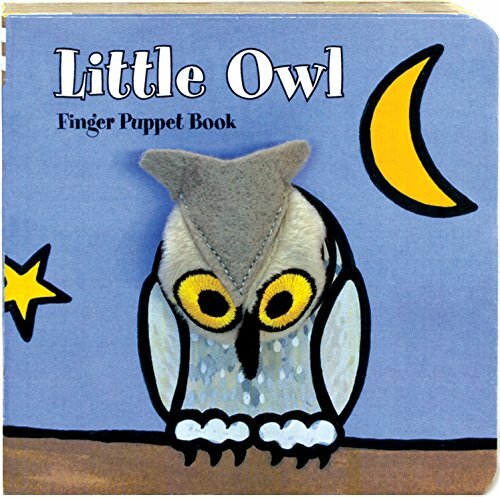 If you read one more mediocre board book, will your eyes literally start to bleed? 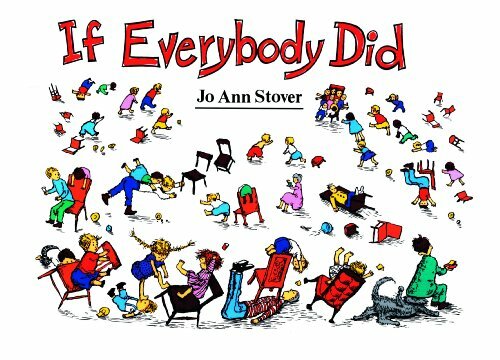 Okay, that might be a little melodramatic, but it is true that a lot of kid's books adhere to the same formulas over and over again. This is especially true for the alphabet books out there. A is always for apple. B is always for boat. C is for? You guessed it - cat. How about an alphabet book that shakes things up a bit? 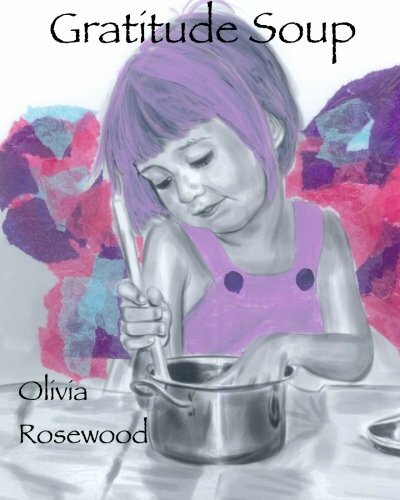 One that the adult reader and the child reader can enjoy? Enter Jis for Jazz by Greg Paprocki. This alphabet is all about that gloriously irreverent and flashy time period - the 1920s. 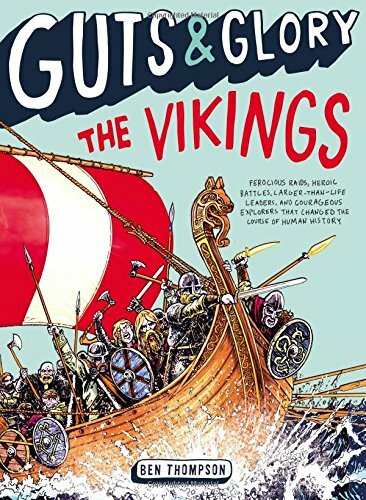 It's a fun read and also a great little history lesson. A is for automobile because more and more people owned cars. C is for Charleston, a popular dance move during the time. W is for washing machine, a marvelous new invention freeing up the family's time. I love looking at the pictures in this because I love vintage clothing. Seeing what the people are wearing in each scene is a treat. If you are sick of A is for apple, give this a try. It shakes things up like a flapper dancing the Charleston on the hood of a model-T car! 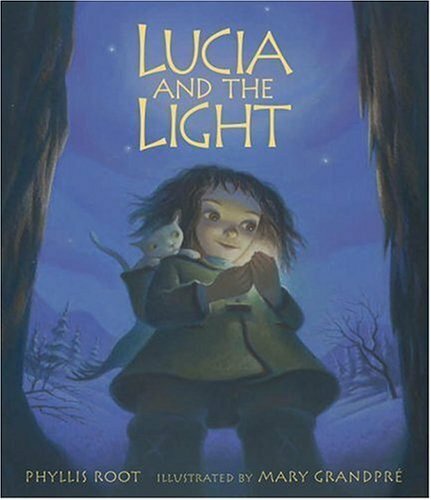 Are your kids afraid of the dark? Scared of going to sleep at bedtime? Night time doesn't need to be scary. 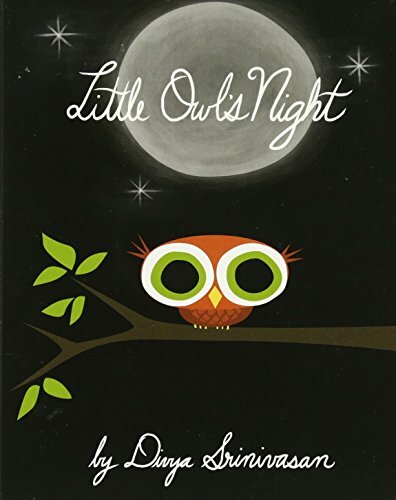 There is so much about the night that is special - a silvery full moon, the distant sound of a hooting owl, looking up into the sky to name the different constellations visible on a clear night. 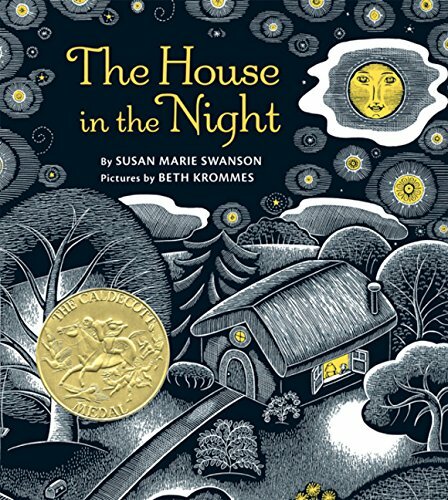 Here is a list of books that will help little readers ease into appreciation of night time. 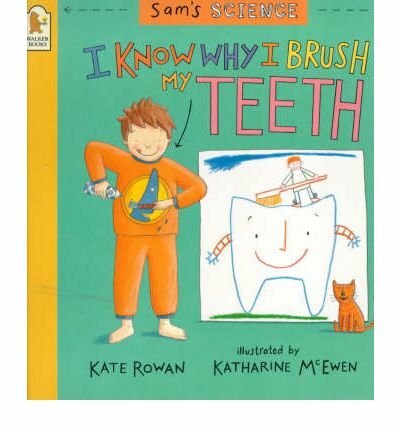 I can't write this post without singing the classic Raffi song about dental hygiene. . . "When you wake up in the morning, it's a quarter to one, and you want to have a little fun, you brush your teeth, you brush your teeth!" Firstly, please dear child, do not wake up at a quarter to one, but if you must, I suppose there are worse things that you could do than brush your teeth. My kids are just awful about teeth brushing. They just don't want to do it. Every night, the same scene takes place. I tell them, "Right, it is time for bed. 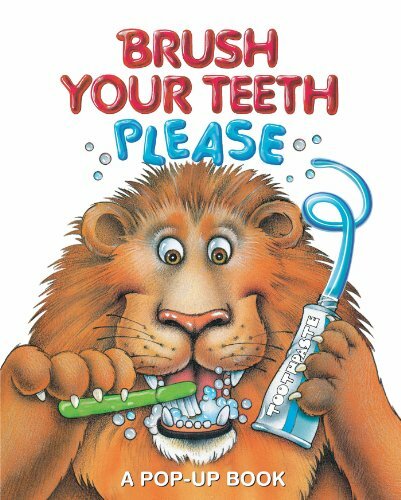 Brush your teeth please." And every night, this demand comes as a shock. That means for my ten year old, that's an entire decade of acting completely surprised that teeth must be brushed on a daily basis. 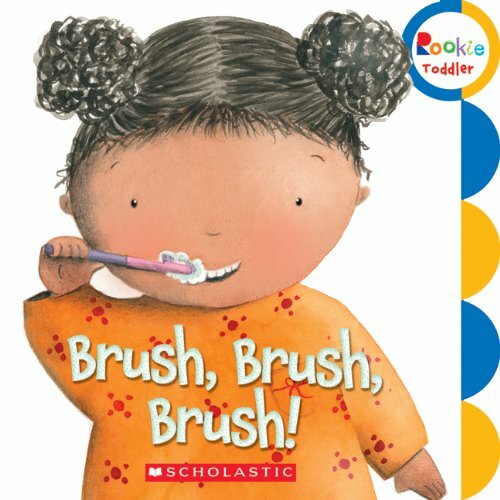 If your little one won't brush their teeth too, here's a list to inspire happy and healthy teeth! This list contains affiliated links which means that if you purchase something from this list, I get a small fee at no cost to you. Win/win! 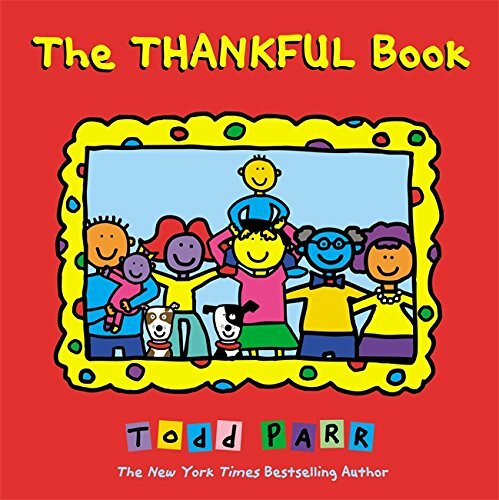 9 kids books about gratitude! Do you think gratitude, the ability to be grateful, is something that comes naturally to people or something that has to be taught? Gratitude is so important in our lives. It is so easy to want more, more, more, and the secret about wanting more stuff is that it never ends. Getting more stuff just makes you want more stuff. Instead, let's focus on what we already have. Growing up, in church, we would sing a hymn called "Count Your Blessings", and I'm trying to spend less time getting more stuff and more time counting my blessings. What do you think? 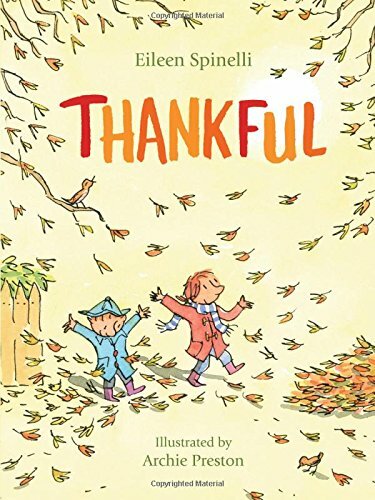 Here are nine kids books that will inspire gratitude! This post contains affiliated links which means that if you purchase something from these links, I get a small fee at no extra cost to you. Thanks! 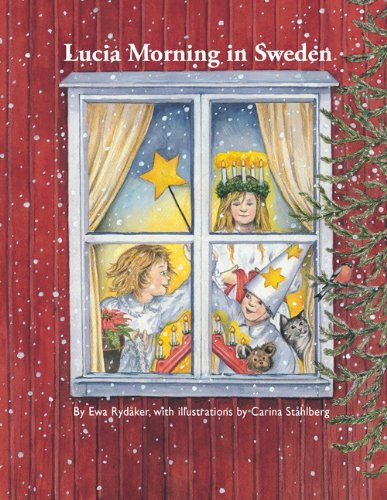 The Scandinavian culture is so charming and interesting! 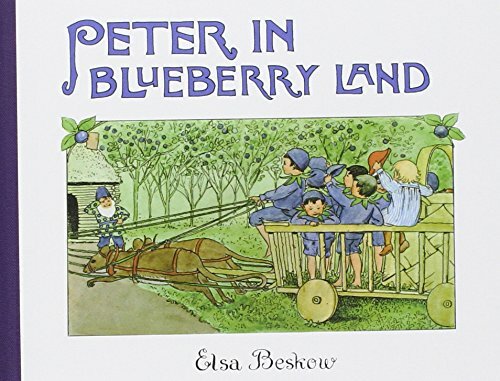 Blueberries, Vikings, cold winters, dreamy summers spent in little red cottages, and a love for the outdoors. 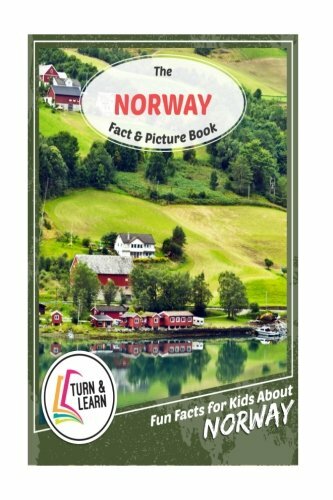 My husband makes fun of me because I have no family connection with the Scandinavian countries of Sweden, Norway, and Denmark, but I love them so much! 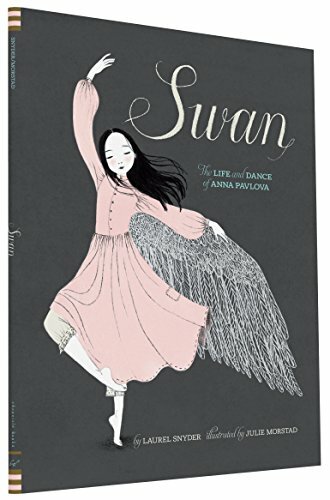 If you love them too, this book list is for you! This post contains affiliated links which means I get a small fee if you purchase something from the links at no extra cost to you. Thanks! 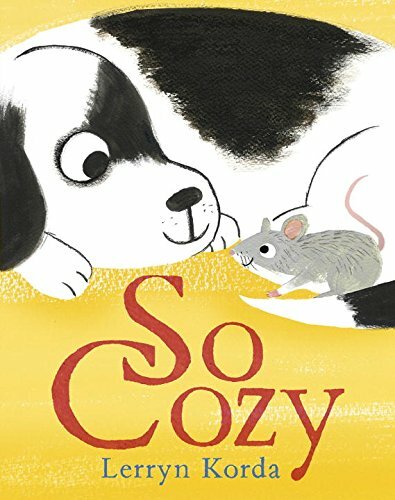 Are you looking for a good, early reader chapter book to get your new reader excited about books? 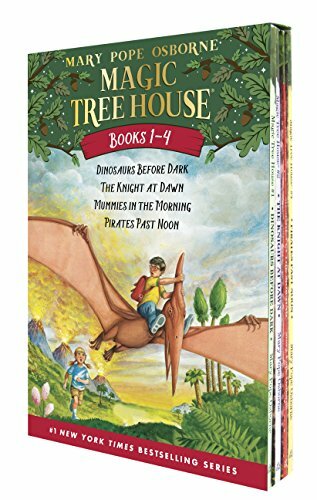 I feel like my kids grow so fast that by the time I have found something that works for them, whether it be a pair of shoes my four year old likes and is willing to wear or a book series that gets my ten year old excited about reading, by the time I find that thing that works, they have already started to grow out of it! Well, if this is the case for you and your child, I feel you! These darn kids just keep growing! 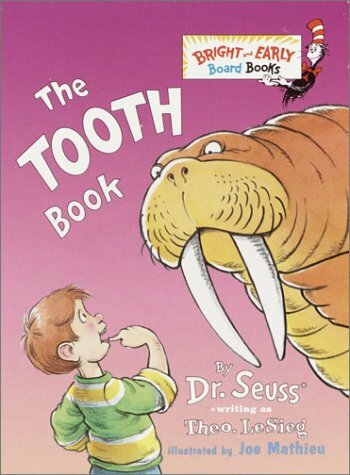 There comes a point when kids, usually ages 6-8, start to want more "big kid" books. They want more chapter books and less picture books. So, you go to the book store or library and check out a few chapter books, but when your child tries to read them, the books aren't targeted for their age group. Hero Dog! Hilde Cracks The Case is perfectly targeted for newly minted readers, ages 5-8. 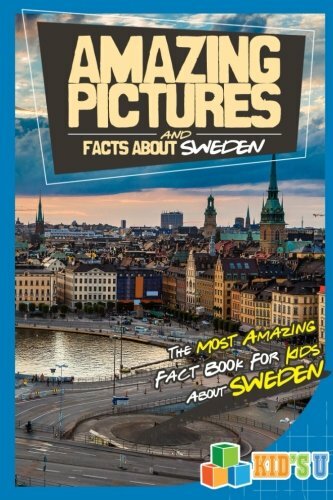 In this book, Hilde is a ten-year-old journalist and adventurous sleuth who loves to investigate mysteries and report about them in her news articles. 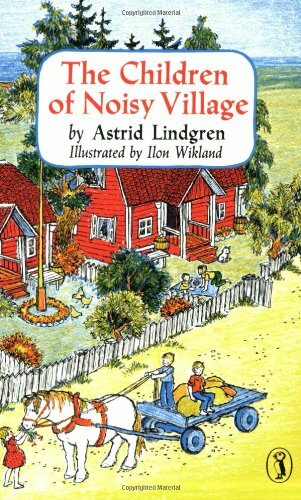 What we love most about this first addition to the book series is that the main character, Hilde, is a real girl and a real journalist! Ten-year-old Hilde Lysiak began her own newspaper at the age of seven and has been dedicated to reporting news in her hometown. 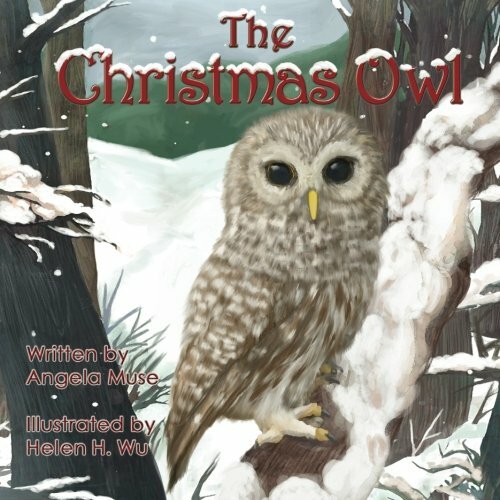 If you would like more information about Hilde and her new book series, check out her website here. If you want to win your own copy of Hero Dog! Hilde Cracks The Case, head on over to my Instagram account, and enter to win! 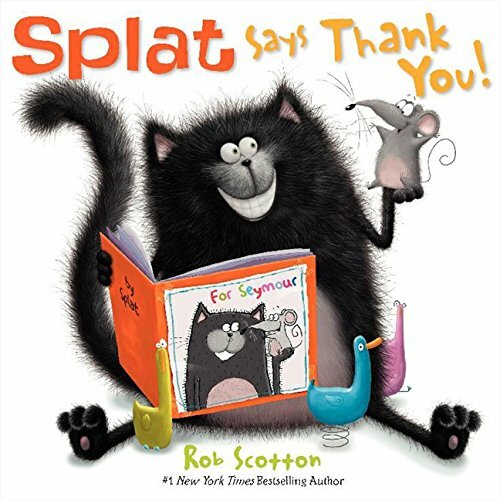 Thanks to Scholastic for providing the prize! There was a time when the poet Henry Wadsworth Longfellow was as famous as Elvis Presley in the 70s (minus the mutton chop sideburns and rhinestones, of course.) I bet that even if you don't recognize his name, you still probably know his poems. "Listen my children, and you shall hear, Of the midnight ride of Paul Revere. . . " His poem "Paul Revere's Ride" is beloved and still well-known. This sweetly-illustrated edition of Longfellow's poem, The Children's Hour, is an affectionate telling of memories the poet had of his daughters' childhoods. Every evening, while he was working at his desk on another poem, his daughters would break into his office to spend time with their dad. They did this every evening, so he came to call the time the "children's hour". 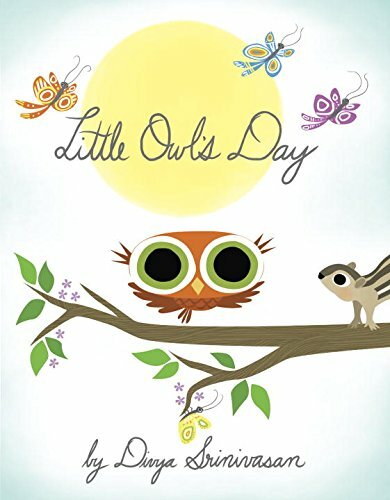 It's a short and sweet poem that both parents and kids will enjoy. Have you heard of the Danish concept of "hygge"? It's all about spending time with family and friends in a cozy atmosphere. The perfect hygge time would be inviting friends over on a chilly night for a warm bowl of chili with chocolate cake for dessert or having a night in with family sitting around in pajamas and playing board games. I just love the idea of hygge! When publishers Little Gestalten sent me a copy of their book My Four Seasons, the first thing that I noticed about it was that the story and illustrations have a very cozy, comforting, hygge mood. It made me feel more relaxed just flipping through the pages! 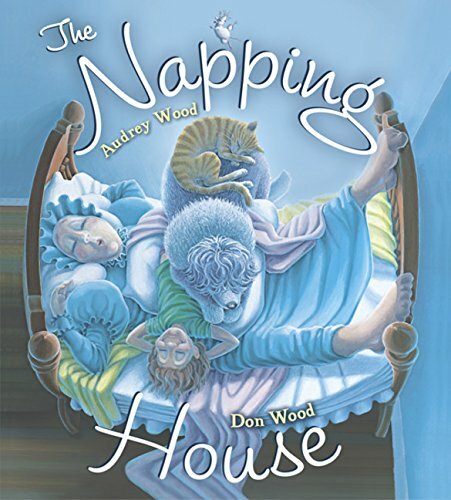 This story follows one family through the seasons of the year beginning with a snowy, winter New Year's Day, then gardening in the Spring, swimming and drinking lemonade in the summer, playing in the colorful autumn leaves, and skiing on fresh powdery snow. 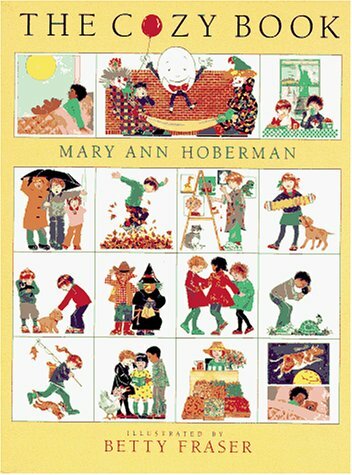 Each season brings new ways to be together as a family, and this book celebrates that! What's more hygge than family spending time together cherishing what makes each season special? 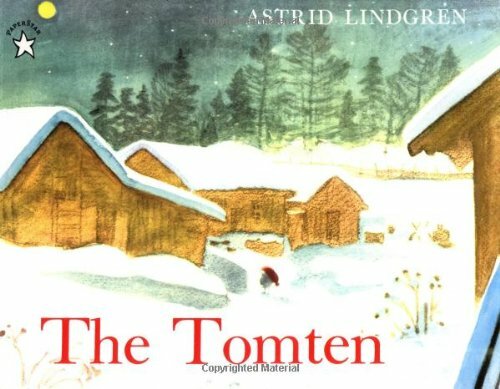 Here are several more books that give us that cozy, hygge feeling. This part of my post contains affiliated links which means that if you buy something, I will get a small compensation at no cost to you. Thanks for supporting businesses that support my blog! 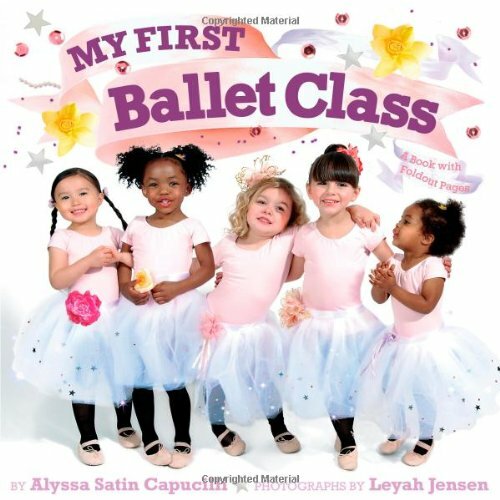 Right around the age of four or five, kids are ready to be read simple chapter books. The trick is to find the right kind of chapter book. Picking one that is too complicated will result in a squirmy, disinterested reading audience. My formula for successful introduction to chapter books: simple story line + short chapters + illustrations sprinkled throughout. Here are several that we have enjoyed reading together. take a trip down the river nile! Do you have a kid who is interested in Ancient Egypt? 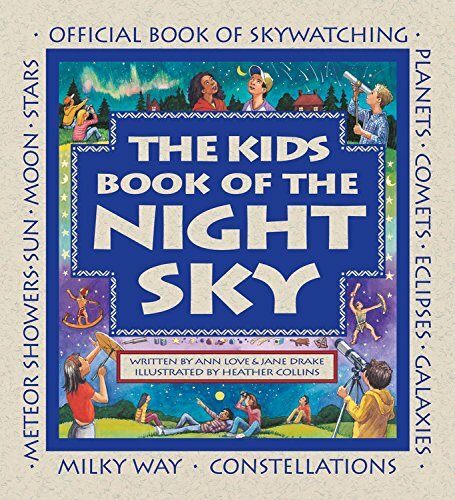 My younger son has been OBSESSED with all things pyramids, mummies, and ancient tombs since he could talk, so I am always on the look out for more books on the subject. 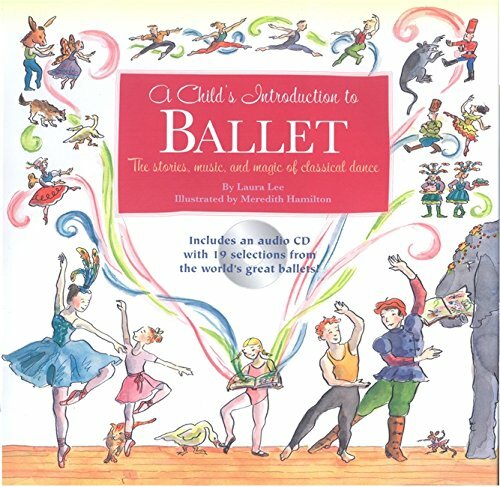 Our new favorite is We're Sailing Down the Nile by Laurie Krebs and Anne Wilson. I'll be honest with you. My son wants to read EVERY Ancient Egypt book he can get his hands on, and some of them would give some people (me) nightmares. We own several really informative and interesting books about mummies filled with pictures of real life unwrapped mummy skulls and one very realistic pop-up book that shows how they removed the pharaoh's organs during the embalming process (gag). He loves them, but I would rather not. We're Sailing Down the Nile is my kind of Egypt book - informative and realistic yes, gory details about mummies no. This book is a combination of exciting tour of the Nile river along with colorful, fun illustrations, historical facts, facts about Egyptian cities both ancient and modern, and lots of opportunities to learn the Egyptian language. What do you do to instill self-confidence in your kids? What about instilling it in yourself? I love reading lifestyle books that teach me ways to live a better, less chaotic life because when my day-to-day runs more smoothly, I have more confidence to go out there and take a bite out of some of my bigger life goals. My fave lifestyle book series is the Madame Chic series by Jennifer Scott. Love, love, love those books! The Playbook by Kwame Alexander is perfect for giving tweens and teens that shot of self-esteem and motivation that will help them succeed in life, not just on the basketball court or soccer field, but in all aspects of their life. 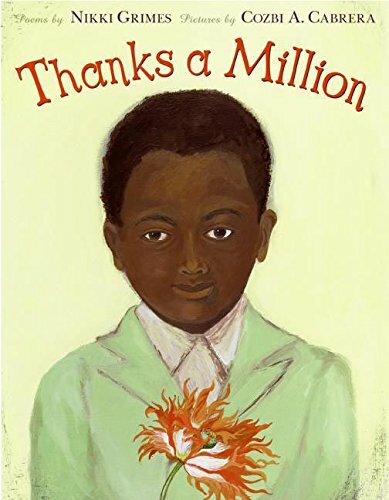 I saw Kwame speak at a writers' conference this summer, and his work is enthusiastic, powerful, and his passion for writing and motivating youngsters is contagious! In The Playbook, you will find a collection of motivational quotes and snippets of advice from sports superstars like Serena Williams and Michael Jordan. You will also find short stories about overcoming obstacles in real life and sports life and what Kwame Alexander terms "52 rules to follow on and off the court". My son is not much of a sports guy, but I still think he needs to read this. I think even though each lesson is presented through the lens of a sports analogy, the takeaway from each is valuable whether you like basketball, soccer, or not. My favorite Disney World ride is It's A Small World. I've probably been on that boat ride three hundred times or more spanning from my first trip to Orlando when I was eight up until a trip I took there last year. It never gets old those sweet little dolls in traditional dress from all over the world singing in harmony. It warms my heart! In today's world, teaching our kids to be good global citizens is more important than ever. This Is How We Do It is the perfect place to start the conversation about how it's a small world after all. 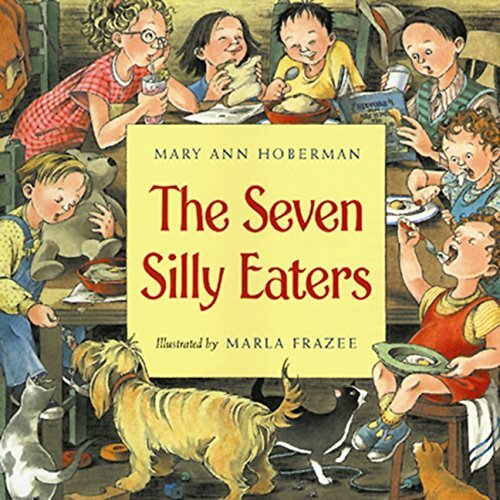 It features seven kids from different countries - Iran, Peru, Uganda, Russia, Japan, India, and Italy. We follow each child throughout an average day, getting to see what their homes and schools look like, what they eat for lunch, what chores they do at home to help out, and more. 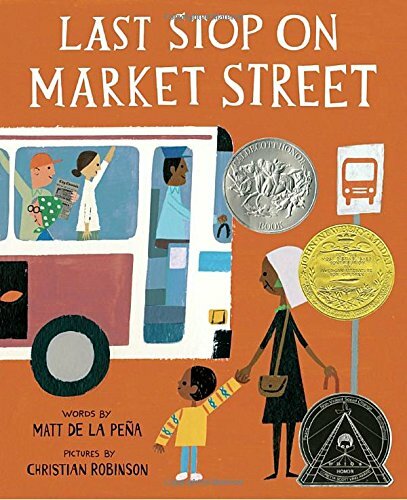 Reading this is a great way to celebrate what makes us different and, maybe more importantly, learn what makes us the same. For example, in Russia, kids stay with the same teacher for most of elementary school while kids in Iran have a different teacher every year. 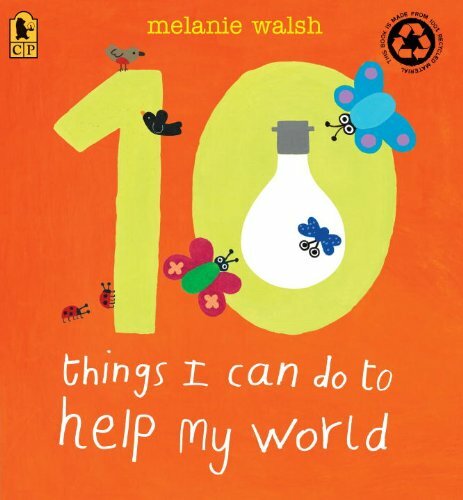 We also learned that kids all over the world help their parents around the house by vacuuming or feeding pets. 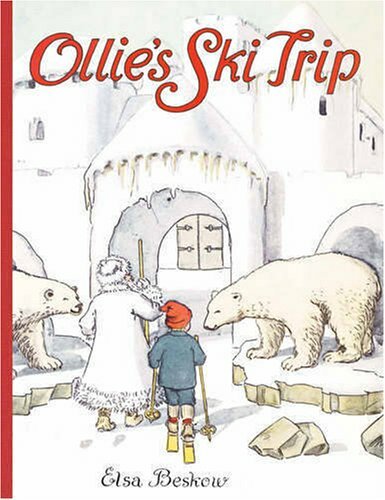 Do you have a favorite book that celebrates different cultures and promotes good global citizenship? Tell me about it! In the 1960s, Dorothy Z. Seymour was teaching first grade when she started writing easy readers to use as part of her reading curriculum. I was over at a friend's house when I saw her copy of one of her favorite books from childhood, Ann Likes Red, on the book shelf. 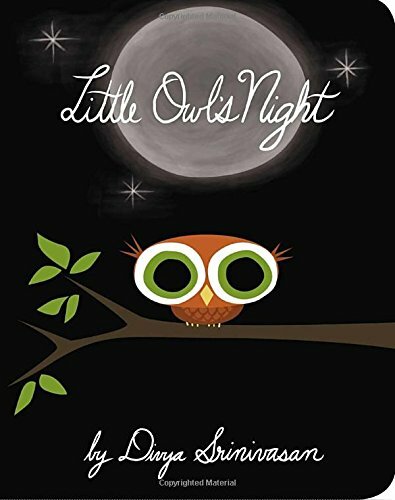 It caught my eye not only because the cover is just adorable but also because it looked so familiar to me. 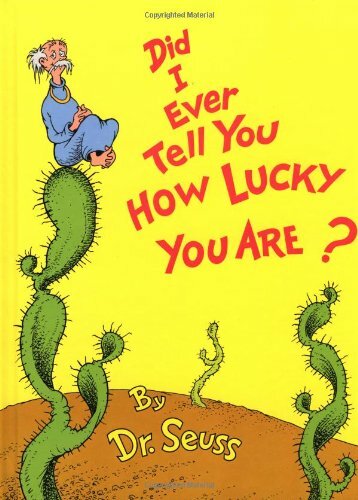 I realized one of my favorite books as a child is by the same author, Dorothy Z. Seymour. 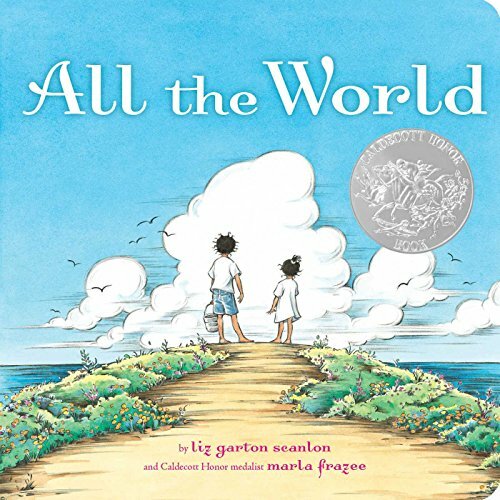 Like my friend, first-grade-me carried one of Seymour's books around everywhere, read it over and over again, and loved to look at the simple yet perfect illustrations. 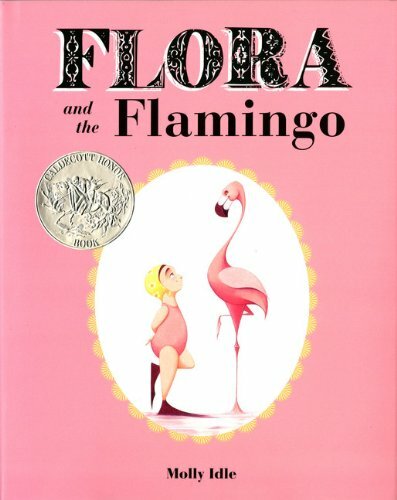 Seymour's books have been so beloved by the first generation of readers that her work is now being published again for a new generation! The simple stories are time-tested and true winners. They encourage literacy confidence in a way that is fun. Ann Likes Red is the story of a little girl who loves the color red! (I can relate!) Ann goes shopping with her mother. Does Ann want a blue dress? Green shoes? Purple socks? Nope. I mean, didn't you read the title? Ann wants a red dress, red shoes, red everything! 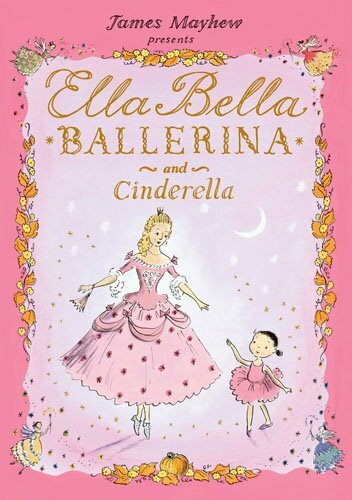 My favorite as a little girl was Ballerina Bess. 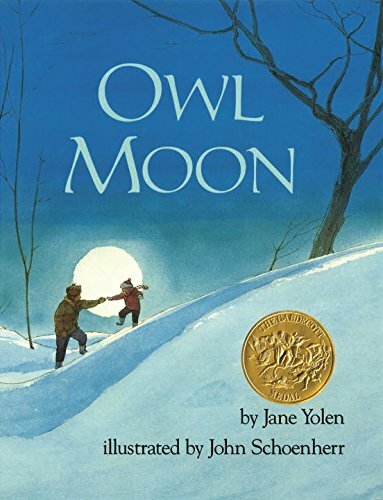 With a story as simple and sweet as Ann Likes Red and pictures that engage little readers, this is still one of my favorites. 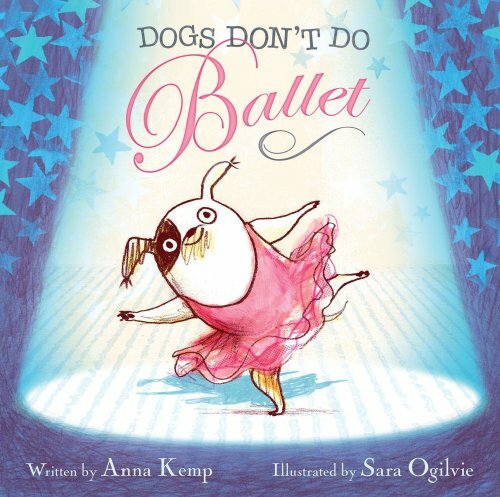 Bess wants to learn to dance, so her parents take her to a ballet school. Seymour said that The Sandwich was one of her favorite stories to write. In it, two kids are building one crazy sandwich with layer after layer of every ingredient imaginable! 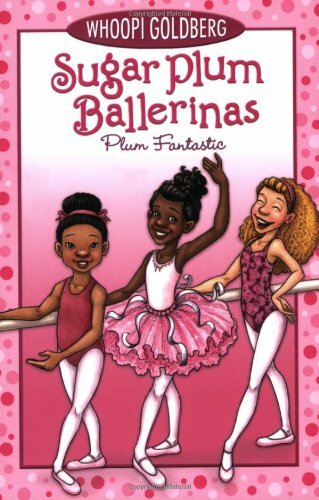 I am pretty sure that five years ago Seymour's books would have been hard to locate for purchase, and I haven't seen Ballerina Bess on a store or library shelf for quite some time. I had no problem finding these titles online, and I highly recommend them for your beginner readers! With the devastation in Houston on my mind, I think an important theme for our storytimes this week needs to be let's be helping hands in our community and our world. There's no better way to get great volunteering inspiration than in books. Here are some of my favorite books for inspiring us to volunteer in our communities and be helping hands. 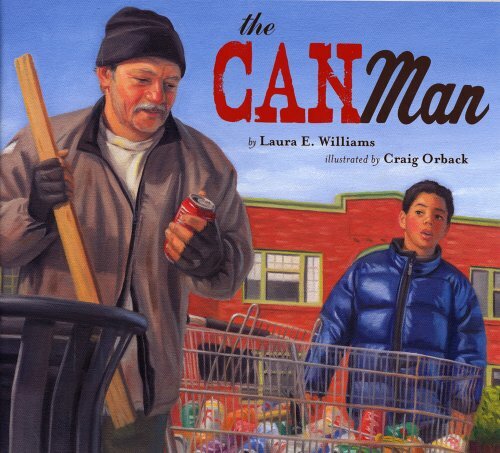 The Can Man deals with homelessness and giving to those who need it most. A boy has to decide between giving his saved money to buy a homeless man a winter coat and spending his money on a new skateboard. Last Stop on Market Street follows a grandmother and her grandson as they make their way through town on a city bus. The grandmother teaches her grandson the importance of volunteering time to help others. The artwork is great, too! 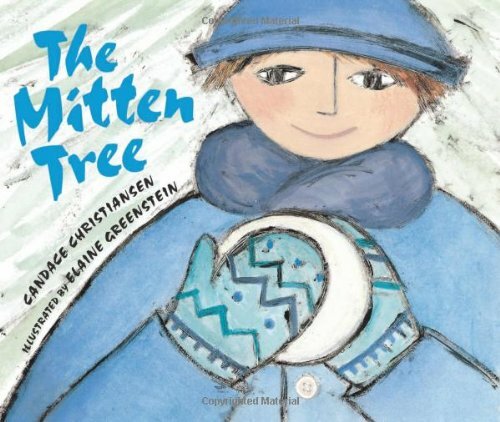 When Sarah is waiting at the bus stop on a cold winter day, she sees a little boy without any mittens. She decides to knit him some and leave them for him to find. 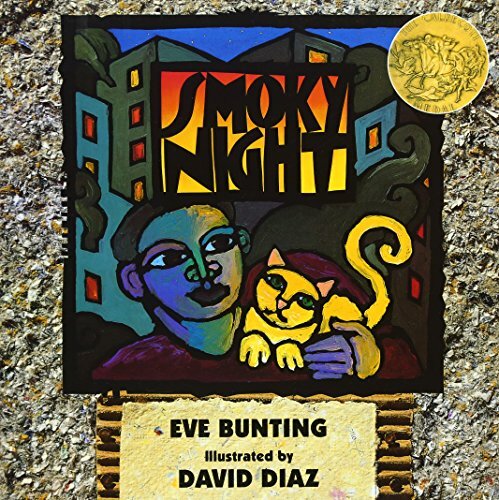 While this book isn't explicitly about volunteering, it is a story about thinking about how our actions affect others. 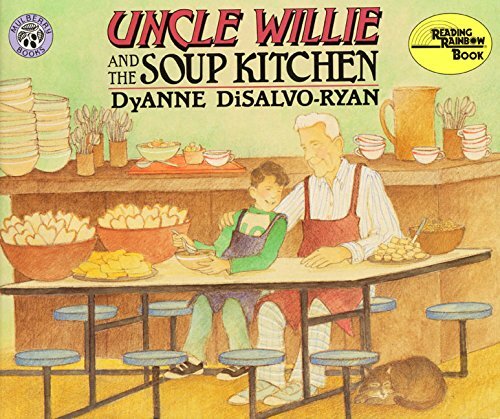 Uncle Willie and the Soup Kitchen shows kids how a soup kitchen works and who the kitchen serves. Informative and entertaining. 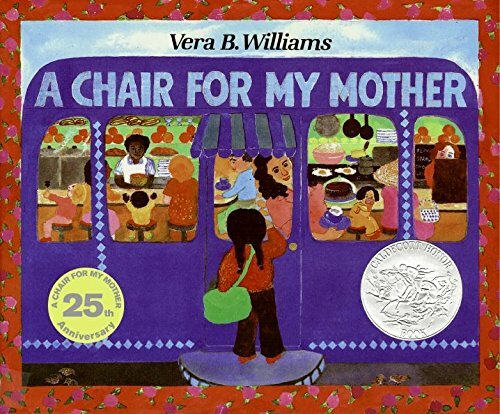 A Chair For My Mother is my favorite picture book for many reasons, one being the way the community in the story gather together to support the mom and daughter after their apartment burns down, destroying all of their belongings. Magical Hands is a sweet book about helping friends with their work without being asked. Inspiring, instructive, and informative! A great resource for helping our community and world. 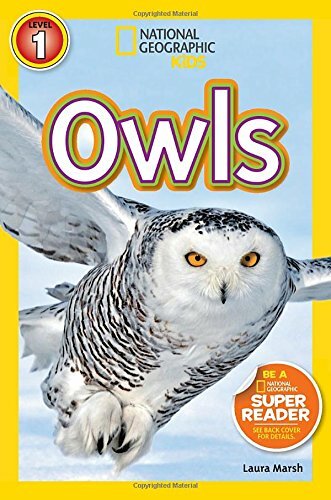 8 kids books about owls! 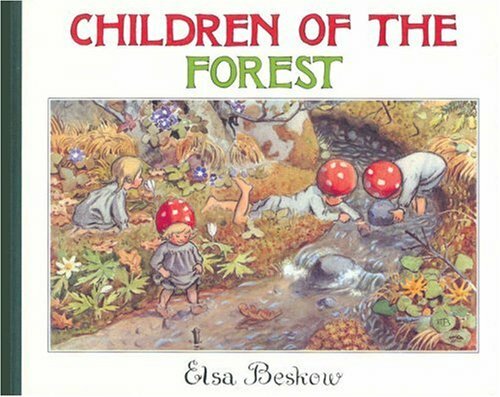 We live next to an old growth forest that is home to wild flowers and tall poplar trees, snakes, insects, a coyote or two, and all manner of birds including owls. I have been lucky enough to stand in our forest all alone with an owl in a tree just over my head. Just me and the owl, me looking up at him, he looking down at me. It is magical. The owl is such a beautiful bird, and when you get a chance to look into their knowing, round eyes, you understand why the owl is a symbol of wisdom. 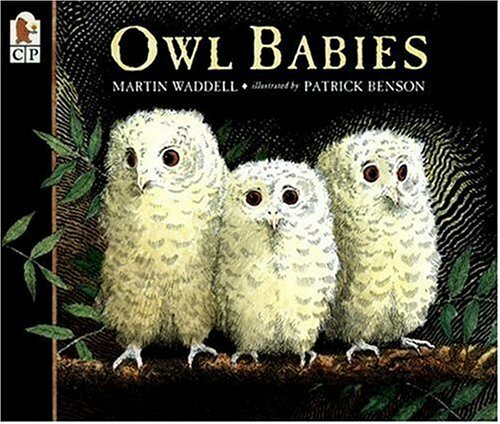 Here is a list of owl themed books for all the owl lovers out there! Have any of the kids in your life become a big brother or big sister recently? I remember when I had my second child, making my first child a big brother. Once the excitement of the hospital and bringing a new little person home calmed down, my first child was quite disappointed with this new little person. To his disappointment, this little person didn't do anything. 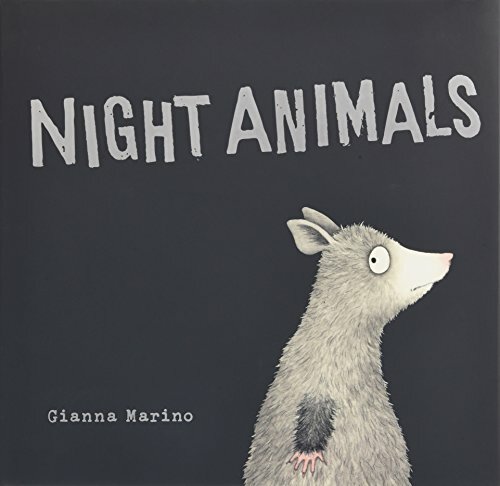 As the title of today's book pick suggests, our new baby just ate, slept, and well, pooped. 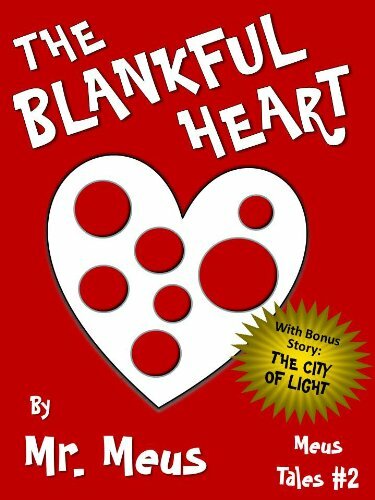 This simple and bright book by Alexandra Penfold and Jane Massey is the perfect read for a new big brother or big sister! Eat, Sleep, Poop is told from the perspective of a newborn taking us through his day. All he does is eat, sleep, and poop, but that is really busy and hard work for a newborn! 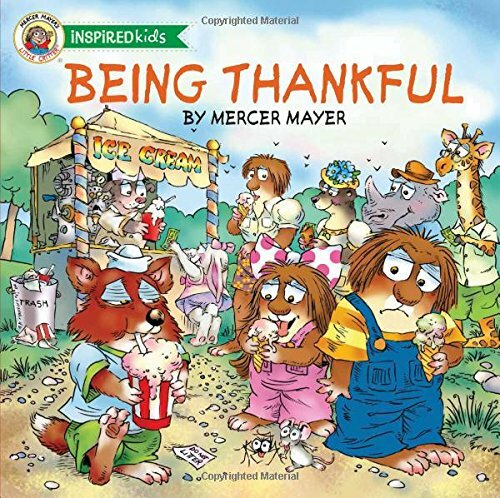 The illustrations in this, along with every kid's favorite word (poop! ), are really funny and bring a lot of humor to the story. This is a celebration of that special, busy, exhausting time of bringing home a newborn. Parents and kids alike will enjoy this one. 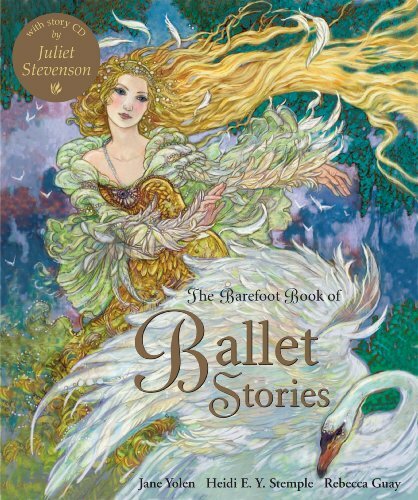 12 kids books about ballet! There is something about that perfect shade of ballet pink that makes me happy. 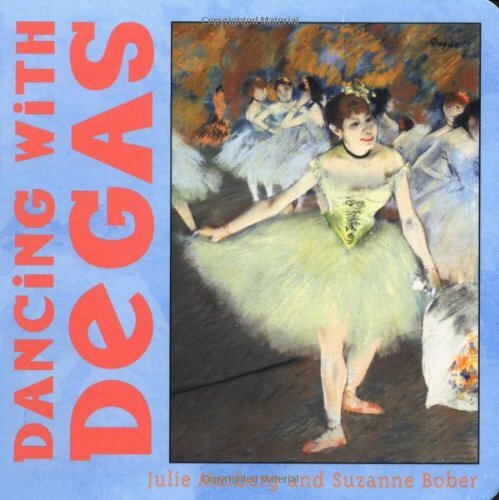 It reminds me of the years I spent in dance class as a kid. I loved it! When I was searching for books to put in this list, it made me really happy to find a level of diversity that I might not have found five years ago. 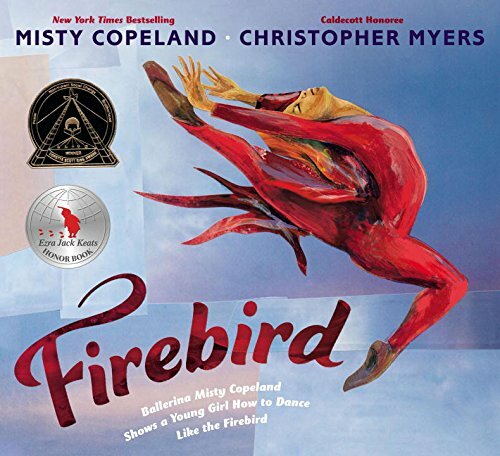 I'm especially excited about the picture book biography of ballet super-star, Misty Copeland. I'm so glad kids can read about the barriers she has busted down! say goodbye to summer with vampirina at the beach! Summer is almost over, and we are having one more big beach bash before we say goodbye to running through the sprinkler and wedges of watermelon for lunch and say hello to school books and lunch boxes. 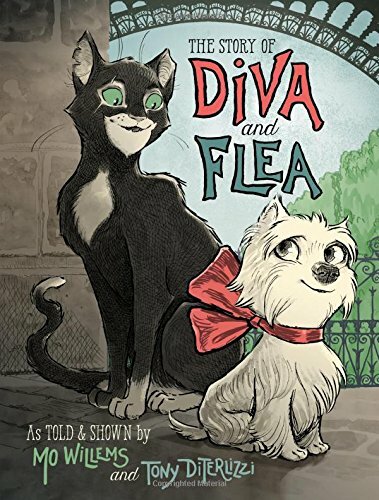 Thanks to Disney Hyperion for sending me a copy of this adorable book! This is the second book for Vampirina. 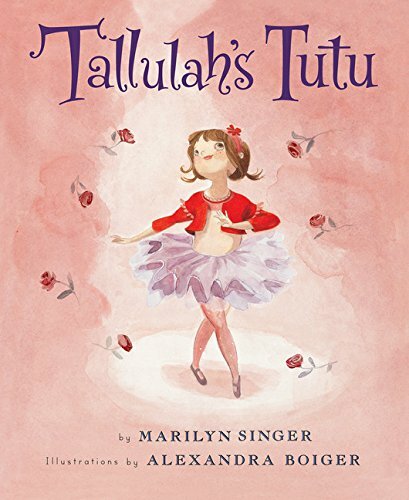 In her first book, Vampirina Ballerina, we meet our main character, a little vampire girl who wants very much to be a ballet dancer but has never taken a class before. 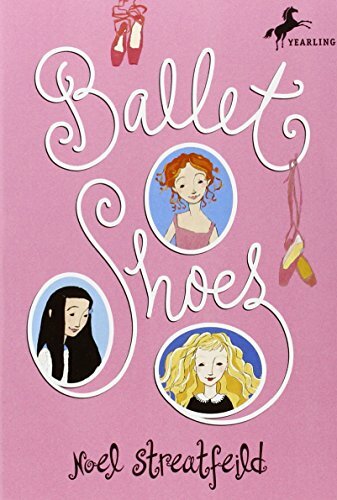 When she goes to the ballet school, she is definitely not your average student and does things her own way. In Vampirina At The Beach, Vampirina is going to the beach with her family and friends for a night of beachy fun. They do all the things everyone does at the beach - building sand castles, splashing in the ocean waves, roasting marshmallows by the fire, but these beach-goers do things their own monstery way. The combination of the familiar beach summer scene and the monsters of all shapes and sizes produces really fun results! It reminds me of a modern, kiddy version of the tv show, The Munsters. Every time I read this book, I can't help but hear the Munsters theme music. What's story time without snacks?! We made some pretty pink and purple sea monster cookies to munch while we read today. I like my recipes super, duper simple, and my monster cookies are made easily with the work of an octopus shaped cookie cutter. Once you have made up your favorite sugar cookie dough and given it whatever bright color you want, cut the dough with the octopus cutter, and bake. After they are baked and while they are still hot on the baking sheet, stick on several candy eyes. Hi there Booktomato family! How is your week going? We are in full lunch box packing-homework writing-teacher meeting-it's a school night so you need to get in bed now mode over here. What about you? Today's book, There's a Bear on My Chair, is written by super-talented and super-prolific children's author, Ross Collins. 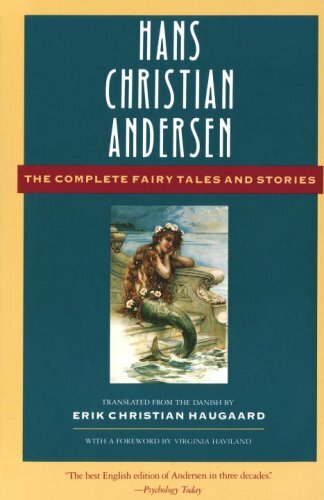 A full list of his works would be way too long for this post, so if you want to read more of his books (and there are some really, really good ones!) check out his website here. So what is a mouse to do when a bear comes and sits in his chair and he just will not move? He begs. He pleads. He bribes, but the bear will not budge. The solution? Go get in the bear's bed! 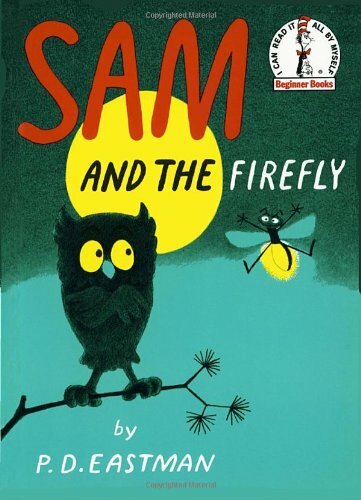 This story is so cute, and my three year old loved it. 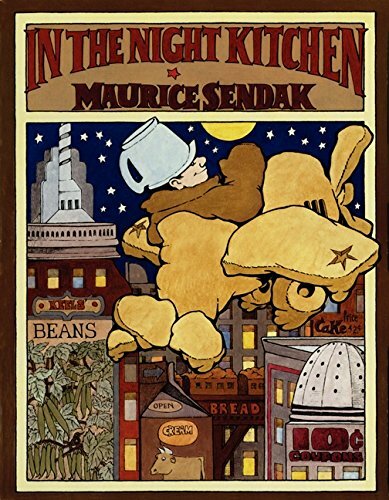 It has the simplicity and humor that I feel so many of the classic picture books have. Also, any book that says the word "underwear" is the height of comedy for my kids. This is sure to be a classic! Hello there, and welcome to Booktomato! My kids have been going through a big dragon phase for quite a while now which is great because there are so many awesome dragon books! Take a look at this one. If you are brave enough to acquire a dragon egg, and are patient enough to wait out the three year hatching period, well, you are going to have a pretty high maintenance pet on your hands! This manual will assist you in your dragon care. 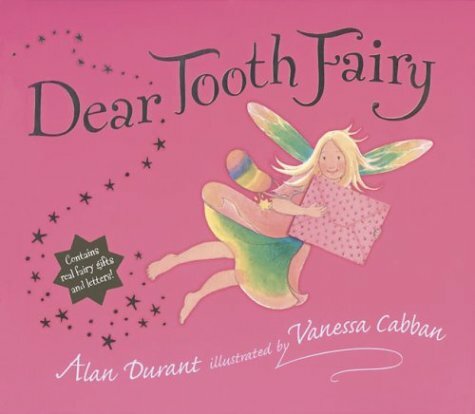 It contains everything from how to care for dragon teeth, dragon exercise, their need to eat every thirty minutes, and their love of calming music. And you thought house-training your puppy was bad. . . . .